Centers for Medicare and Medicaid Services - Phillips Murrah P.C. 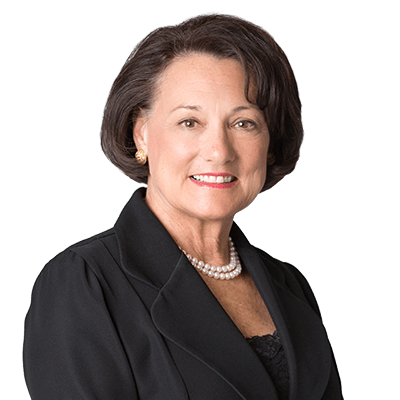 In this article, Oklahoma City healthcare attorney Mary Holloway Richard discusses steps Oklahoma has taken to lower prescription drug costs for consumers. Q: Oklahoma recently has been recognized by Secretary Alex Azar, of the U.S. Department of Health and Human Services, for innovations in its Medicaid prescription drug program designed to lower drug costs to the state. How was the state able to accomplish this feat? A: Medicaid is a federal program that’s administered by the states. In Oklahoma, it’s administered by the Oklahoma Health Care Authority. So, while the state receives some federal funding, a good portion of Medicaid funds are supplied by the state. In order to reduce costs related to prescription drugs, Oklahoma applied to the Centers for Medicare & Medicaid Services (CMS) and was granted an amendment to the Oklahoma State Plan that facilitates prescription drug cost savings. The plan links the payment of a drug to its effectiveness and outcomes. This is essentially what we refer to as “value-based” prescription drug purchasing. CMS reports that “(t)he state plan amendment proposal submitted by Oklahoma will be the first state plan amendment permitting a state to pursue CMS-authorized supplemental rebate agreements involving value-based purchasing arrangements with drug manufacturers.” This program is part of the Trump administration’s “American Patients First” blueprint, designed to address rising drug prices. Q: How will the amendment work in Oklahoma? A: The amendment to the state plan, as approved by CMS, now allows Oklahoma to negotiate and enter into valued-based contracts with drug manufacturers. This means that, through identifying the most effective medications, the state can tailor its negotiations with manufacturers to drugs that have demonstrated the most success in treating patients, thereby achieving cost savings and efficiencies in treatment. Negotiating value-based contracts will supplement Oklahoma’s ability to control drug prices under its current participation in the Sovereign States Drug Consortium. The Consortium negotiates supplemental rebates on behalf of states. Oklahoma is free to accept or reject rebate offers. Q: Are there other cost saving initiatives related to decreasing prescription drug costs? A: Currently, certain drugs have a preferred status if they’re listed on the Medicaid State Supplemental Rebate Agreement. Almost every state Medicaid plan, including Oklahoma’s, gives the state the authority to negotiate supplemental rebate agreements with drug manufacturers. These agreements allow for rebates to be given to the state by manufacturers as least as large as those provided in the Medicaid national drug rebate agreement. Importantly, two other parts of the Trump administration’s plan to decrease drug costs include giving Medicare insurance plans greater ability to negotiate for the Medicare Program (Part B and prescription drugs) and to make drug prices transparent for consumers. The latter part of the president’s plan would require drugmakers to disclose list prices in public advertising. 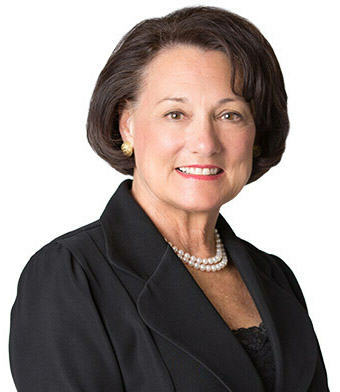 Mary Richard is recognized as one of the pioneers in health care law in Oklahoma. She has represented institutional and non-institutional providers of health services, as well as patients and their families. Q: In 2016 the federal government paid out $60 million in “improper payments” to Medicare and Medicare Advantage plans. What are improper payments? A: The prohibition against improper payments applies to Medicare and to the Medicare Advantage plans which stand in the place of Parts A and B but offer more choices to patients in the private insurance market. Most are HMOs, PPOs and private fee-for-service plans. “Improper payments” refers to both underpayments and overpayments. The most common payment problems are traced to insufficient documentation of the care provided. Other problems are no documentation, failure to establish medical necessity and incorrect coding. Regulators tell us that the objective is to understanding the ordering practitioner’s reasoning in evaluating and diagnosing a patient, in considering alternative course of action and in selecting a specific treatment plan with the patient. Just as physicians have been trained to document robust informed consent, they are now being called upon to document their thought processes as a way of demonstrating the legitimacy of the treatment. Q: What action can the federal government take once an improper payment has been identified by the Center for Medicare and Medicaid Services (CMS)? A: The CMS is part of the Department of Health and Human Services and it has an investigative arm known as the Office of the Inspector General (OIG), which is the most robust of all federal agencies’ legal and investigative arms. The OIG can investigate a provider and refer the matter to the Department of Justice to bring a criminal or civil action against the provider that can result in repayments, penalties and even incarceration. Such actions also ultimately can result in exclusion from federal payment programs and even loss of the provider’s clinical license to practice. A demand for repayment can be based on an extrapolation of a statistical sample of a provider’s claims submission and payment history. Q: How can providers avoid making claims that result in improper payments? Are there certain kinds of providers who are at the greatest risk for coding errors? A: In the face of this regulatory environment, providers would do well to engage in periodic preventive spot audits of their medical records documentation, coding and billing activity. Billing regulations are increasingly complex and require advanced training not only of the practitioner, but also of his or her staff, billing company and supporting professionals such as accountants and attorneys. Continuing education, coding seminars and the like are the order of the day for persons with these responsibilities. Q: What’s the potential impact of these billing errors on patients and on providers? A: Improper documentation can be a result of mistakes, faulty documentation or fraud. Some documentation shortcomings can be traced back to the provider’s original training or education. Others relate to the electronic records formatting, which some experts argue fosters copying responses rather than creating medical record entries for each patient. Ideally, eliminating unnecessary claims benefits the health care system financially and so ultimately benefits the patient. However, in my experience, “false claims” often represent a failure on the business side of a medical practice or facility operations in a situation where quality services were actually performed. But once characterized as an overpayment, the amount paid by the Medicare contractor must be returned despite the fact that quality services were provided. Q: The Centers for Medicare and Medicaid Services (CMS) released core quality measures for physicians on Feb. 15. What does this mean for physicians and for patients? A: Physicians currently are required to report multiple quality measures to a variety of entities, and this has been confusing for providers and difficult to report effectively. The quality measures, spearheaded for some time now by federal health care reimbursement programs and by commercial insurers, are being used to standardize care and to establish baseline performance for providers they reimburse for services provided to their beneficiaries. These measures are seen as a cost containment initiative and a way to facilitate provision of baseline quality services. It’s also envisioned as an opportunity to empower consumers to become informed decision-makers. Q: How were these quality measures established? A: CMS and America’s Health Insurance Plans came together, along with consumer groups, national physician organizations and employers, to form the Core Quality Measure Collaborative. The seven sets of core measures include: accountable care organizations, patient-centered medical homes and primary care; cardiology; gastroenterology; HIV and hepatitis C; medical oncology; obstetrics and gynecology; and orthopedics. CMS currently is using measures from each of these core sets. An example of a core measure for primary care (family practice) is control of high blood pressure by first obtaining a core set of data about the patient. Another primary care example for comprehensive diabetic care is performance of an eye exam. Q: Does CMS intend to establish core measures for other medical practice “sets”? A: The CMS news release of the Collaboration’s Core Quality Measures appears to be a single step in a process that will result in future proposed rules in additional clinical areas. Presumably CMS has stated that it will continue to engage in a multi-stakeholder collaboration including additional notice and public comment rulemaking. CMS isn’t newly committed to applying outcome metrics to payments for physicians and other providers. In fact, it’s not unusual for hospitals and other institutional providers to include baseline quality and performance metrics as a prerequisite to salary or bonus compensation in physician employment and other agreements. Q: Are these additional regulations a win for Medicare, commercial insurers, physicians, patients? A: The announcement of these regulations is thought to signal successful progress by Medicare and commercial insurers toward value-based purchasing. This is an effort to make the federal and private health care dollars go farther. Part of the federal health care agenda is based upon recouping financial savings by enabling a healthier population. For physicians, although this may initially seem like another layer of regulations tied to reimbursement, the standardized core measures are likely to simplify patient data the information that must be maintained and provided. For patients, although quality improvement is entirely positive, the logical extension of the efforts of the collaboration is to standardize care that will covered by these federal and commercial insurance programs. It’s possible that it will improve services provided to some patients while limiting that available to others.